The lake presents rare biodiversity richness in the region. Many species thrive in this shallow water lacustrine environment preserved from urban and agricultural pollutants. 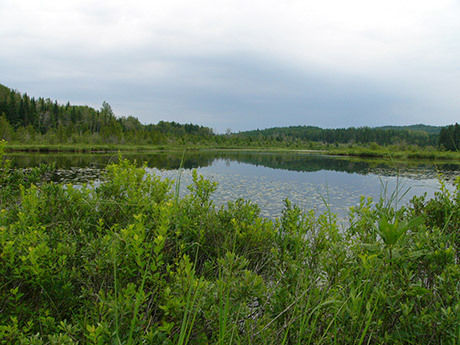 The abundance of aquatic and riparian plants provide a special environment for numerous ducks, waterfowls, kingfishers, wading birds and others. The hikers will be enchanted by a spring peepers chorus or a wood duck – one of the most beautiful ducks of all - swimming across the lake. A viewpoint with boardwalks was erected over the lake for better observation. 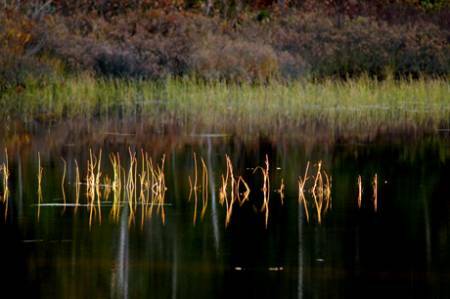 This rare type of wetland is undeniably to be protected and preserved for future generations.